The nondisclosure agreement has been signed, a high-level letter of intent is in place, and the transaction parties are ready to begin active and thorough due diligence. Some initial planning and communication will help make the process efficient and effective. There are several obstacles to efficiency that should be anticipated. The team members providing due diligence information and reviewing that information will probably change and expand over the course of the transaction. How will new people get up to speed on all of the information as quickly as possible? Who will be responsible for making sure they are fully brought into the loop with access to all documents? 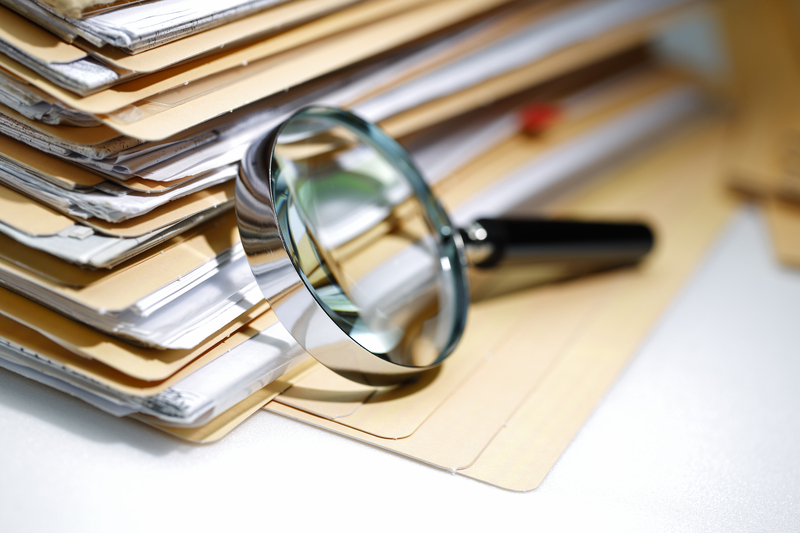 Due diligence information will almost certainly come in waves. How will new information be tracked against data requests and who will be responsible for keeping the information organized? Information provided may not be labeled clearly or tied to a specific information category or data request. How will all of this information be organized? Who will oversee the process? An efficient process is guided by a robust due diligence checklist, but not simply an “off-the-shelf” checklist. While a generic checklist might be the place to begin, the parties should dedicate time to thinking about the transaction and customizing the checklist. Each party should include members of their business and professional teams in the development of the customized checklist. Thoughtful early stage input should reduce supplemental data requests and maximize efficiency. The parties need to discuss and agree upon the mechanism for providing due diligence information. Any efficient due diligence effort will involve a virtual data room, and the folder structure for the storage of documents and information in the virtual data room should closely track the tailored due diligence checklist. This is a key first step in planning for organized and efficient due diligence. If the parties agree to use a virtual data room, the rules around data room operation and access (including the availability of information about each team member’s access to documents) should be discussed and settled in a way that is acceptable to both parties. Where neutrality is important, a suitably neutral virtual data room should be utilized. And all parties should agree to stick with the virtual data room process for providing information, and not resort to random email use for the exchange of some due diligence information. Each party should take time to identify the transaction team members, realizing that group may change through the due diligence process. Depending upon the terms of the nondisclosure agreement already in place, additional parties to that agreement may need to be managed concurrently with virtual data room access. As part of transaction team identification, each party, and particularly the seller providing the due diligence information, should consider identifying one person as the key “organizer” of the due diligence information. The organizers are probably not the content experts who will be responsible for providing and reviewing the substantive due diligence information. For the buyer, an organizer can streamline follow-up on outstanding items and supplemental data requests. Organizers must be very familiar with the tailored due diligence checklist and corresponding folder structure in the virtual data room and be responsible for ensuring that information is included in the proper place. The organizers should also monitor consistent use of the virtual data room and intervene if any information is exchanged by email. A good channel of communication between the organizers is also important. Regardless of the thoroughness of due diligence planning and the clarity of the due diligence procedures, it is inevitable that additional disclosures will come later in the process – either in response to questions from the buyer or because of oversights by the seller. Planning and communication can reduce the impact of late information, but the information review process needs to contemplate that it will occur and provide a reasonably efficient means of identifying and reviewing that late information. Any effort by a seller to “bury” significant information by not clearly pointing out its addition, or by providing it late in the process mixed with many additional documents, should not be tolerated by the buyer-especially if the stated “transaction deadline” is approaching. Consider defining a consequence for late information addition. For example, any disclosures after a specified date could lead to automatic extensions in agreed-upon deadlines or exclusivity periods. Finally, through the due diligence process the parties need to be anticipating the preparation and negotiation of the transaction agreements. The transaction agreement process will almost certainly begin before due diligence is “complete.” Using a transaction collaboration platform that integrates the negotiation process with the due diligence virtual data room process exponentially increases efficiency. One particular element of integration between the virtual data room and the transaction agreements is the “legal” impact of the data room disclosures. Is the virtual data room simply a source of information that will be disclosed in schedules to the agreements (and will have legal relevance only to the extent they are so disclosed) or will the contents of the virtual data room be incorporated into the terms of the transaction agreements? This topic should be addressed by the parties early in the due diligence process because it may impact how the virtual data room disclosures should be reviewed, organized (and possibly duplicated) and archived. There are also steps that a well-prepared seller should take to anticipate the due diligence process, especially the collection and organization of documents, before a transaction is underway. The seller may go so far as to set up a virtual data room even before a buyer is identified. In doing so the seller should consider whether a buyer will be comfortable with their choice of virtual data room provider and the neutrality (or bias) of that virtual data room platform. For more details on how a seller should get ready for due diligence, see Business Housekeeping Maximizes Value and Offers Peace of Mind. Finally, the focus of this discussion has been on the efficiency of the due diligence process and early steps to streamline the negotiation of the transaction agreements. But, of course, due diligence (and the evaluation of the potential acquisition) cannot be effective without consideration of post-closing integration plans. The same efficiency considerations discussed above will be equally helpful for efficient and effective integration planning.